Inside: When our holidays aren’t merry, unique challenges exist for everyone in the home. There is hope, even with the empty seat at the table. We will see them again and that’s worth celebrating. Tips on How to Keep alive the memory of a loved one. I’m excited to share Susan Mead’s post with you! Susan is an inspiration to me as she shows us how to dance with Jesus in the midst of hard circumstances in life. Did I just say dance? Susan says, “To me, dance with Jesus is a metaphor for finding joy.” She is an inspiration to me because she has used her pain to minister to others. I think you’ll get a feel for her heart in this post. Happy Holidays! It’s that time of year where Happy Thanksgiving and Ho! Ho! Ho! Merry Christmas are words we are used to hearing and saying. Yet at times, Thanksgiving and Christmas are far from merry for many of us. When our holidays aren’t merry, unique challenges exist for everyone in the home – and in the family. How can we not give thanks at Thanksgiving or not be merry at Christmas? Great question. For me, it was the loss of my 20-year-old college aged son that created an empty seat at our table. For others, the loss of a parent, grandparent, spouse, sibling, niece or nephew, in-law, friend or child creates a whole begging to be filled and a seat at the table that remains empty. A miscarriage or stillborn baby leaves empty arms and broken hearts that desperately need healing, yet the hurt is so very real. That empty seat is a car seat. Deserted. Yes, many times these precious family members feel deserted. By God, by life, by family and friends who don’t know what to say, so they stay away. Nothing more. Nothing less. Those words embrace them, their loss, and their pain, showing you care. Deeply. And you are there, for them, with them, regardless of the pain, it causes you to share in theirs. When we add words after I can’t imagine, we are likely to add our own emotions, thoughts and feelings. Is that fair for us to put words in the mouths of our wounded family member(s)? Or would you rather simply acknowledge that you have no idea what they are going through, how they feel or what they need? I can’t imagine…yet I care. Simply be with them. 2) Say the name of their lost loved one. Hearing the name of that precious person matters and makes a difference in the healing process. Avoiding speaking the name actually hurts everyone there, so share stories, let tales weave words that pull the corners of their lips up into a smile, even if for a moment. A hearty laugh may even break forth as a rip-roaring story breaks the barriers, pulling walls down and lightening heavy loads. 3) Pull out the pictures! The best gift I got the first Christmas after losing Kyle was a digital photo frame from Holt. He scanned in over 600 irreplaceable (Irreplaceable = there would be no more new photos of Kyle. Ever.) What a treasure! Now that’ll start the stories flowing – maybe a few tears too (OK, a bucket load! ), yet treasure the tears. God does. He collects every one of them in a bottle. That’s how much we mean to Him. Isn’t that heartwarming? So pull up a chair to the table, set a placemat and name card for the one who is no longer there, center that honored place with several pictures or a digital photo frame loaded with memories – and let the stories start. There is hope. We will see them again and that’s worth celebrating. Thank God He sent His Son Jesus to pave the way for each one of us who love Him. Yes, we miss the ones who go before us and left their seat at our table empty, yet we celebrate they are in Paradise. Heaven. Seated with Jesus at the Heavenly Christmas Table. With over 2 million airline miles under her belt, 2 Christian Literary Awards on the shelf, an MBA hanging on the wall, and a current Doctor of Theology candidate, Susan B Mead shares her expert teachings on business, grief and relationships. A master storyteller and award-winning, best selling author, Susan leaves audiences motivated to live a life free of regrets even though she has done the hardest thing any parent can do – bury her youngest son, Kyle. Connect with Susan on her website where she writes each Friday, on Facebook and Twitter where she posts daily inspiration or on Amazon where her award-winning book, Dance With Jesus: From Grief to Grace, is available. Are you looking for a free mini-course to deepen your faith? Text DanceWithJesus (all one word) to 444-999, add your email to receive 6 days of Biblical encouragement. “Treasure the tears–God does!” Wow, what a dose of encouragement. So often people make someone grieving feel condemnation that they are crying. If God treasures our tears, so should we! This was such a great post! Thank you Susan for sharing your heart and your experience so we can better help our loved ones who are grieving. Remembering th ones who are no longer with us brings joy to our hearts. It reminds us that they are missed by others as well. Kirsti- I agree and when we know they are in Heaven, it brings great joy! I love Susan’s advice about saying their name. I remember when a fellow missionary returned from the US after burying their 3 year old son who had drowned. I was at the guest house when they arrived from the airport. A child there found a small truck and asked whose it was. The bereaved mother said, “Oh, that was Austin’s.” Austin was the one who had died. She definitely broke the ice for me by saying his name. I just didn’t know what to say. Amy- thank you for sharing this! I love Susan’s advice on what to say with the simple words, “I can’t imagine.” Such a timely post as the holidays can be so painful for those who have an empty seat. Valerie- It’s great advice! This post was super helpful as our family just experienced a loss! Meg- this was a great post! Such good words for us to know how to talk about loss in a way that is helpful and not hurtful. Blessings to your family and thank you for sharing your experience to help others. Although I’ve never experienced an “empty seat”, I will keep this in mind for those who have. I think all these ideas are on point! Thanks Julie and Susan. 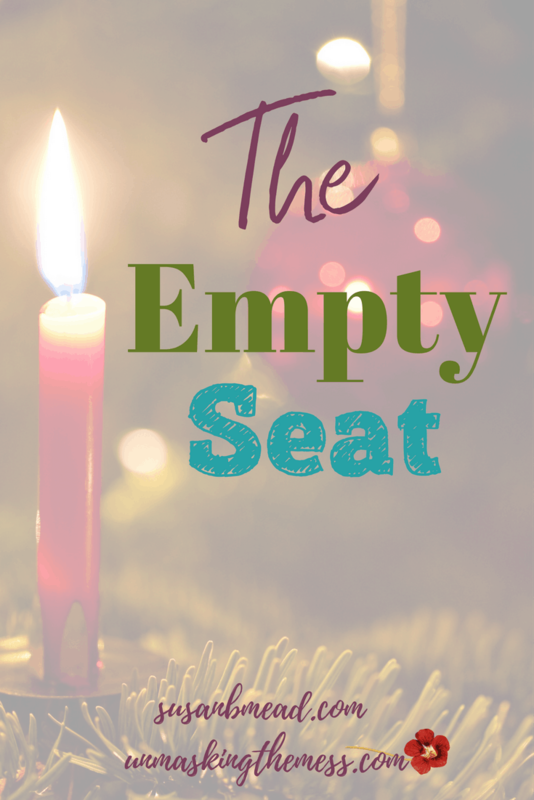 The “empty seat” during the holidays and how to get through it ourselves and/or help others resonated with me. The presence of people, saying the missing person’s name, and looking at pictures, all simple but powerful gestures. Happy Thanksgiving to you both! What a beautiful way to help us deal with that empty seat at the table. Everyone can relate on some level, large or small, and if we continue living long enough, we’ll continue to have more empty seats (even as new seats are filled). I didn’t know about your loss of Kyle; I’m so sorry. Some holes are never filled. We just learn to live beside them. Blessings to you, Susan. Susan, Holidays do remind us of the ones we miss. I love the suggestion for how to include their memory in your celebration. I’m passing this on. So much truth here. My deepest sympathy for the loss of Kyle. No matter how long ago, there is a pain in the remembering along with joy. This will be the 9th Christmas without our Kimberly, who went to heaven when she was 32. Thank you for shining a light on this often overlooked subject. So many people are hurting during the holidays and for awhile I was one of them. It’s easy to become caught up in the whirlwind of the season and neglect to show love to the people who need it most. But if we show God’s grace and compassion it can make the holiday a little more bearable for a hurting heart. God bless! Connie- I think you’re right, this subject is overlooked! Susan’s post was so helpful to know what to say or do for others grieving! Susan what beautiful words for us all. We all know someone or are that someone who has an empty chair. I am so grateful that God is with us, holding us always. Linda- I’m so glad God is holding us also! I’m going to ask God to open my eyes to those hurting this year so I can pray specifically for them! Thanks for sharing Susan’s post. 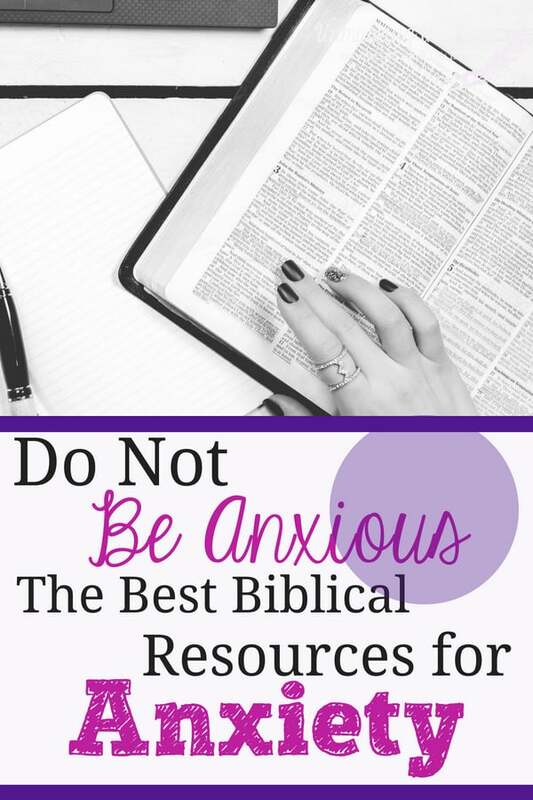 It is a blessing to hear what’s helpful and not so much. I never want to be the one that inflicts pain or sorrow. The sorrow of losing someone you love is so deep. Char- Thank you! I agree, it is helpful to know what to say and do! I love this post! Susan’s suggestions on what to say to a grieving family member is so correct. Using the term, “I can’t imagine” is so wise and timely for anyone rxperiencing grief. Thank you for sharing this! Summer- I agree, Susan’s post was really helpful! Thank you for helping us to know how to honor and remember those we love who are no longer with us. Barbie- Thank you, Susan’s post was beautiful! Julie–What a great series. So many deal with issues around the holidays. Your blog will be an encouragement for sure! Susan–You so willingly share your story and reach right to the heart of us all. Love what both of you girls are doing! Praying God’s blessing on you both asking God to extend your reach to impact more lives. Thank you, Sherry, for the kind words!